On the 27th anniversary of Freddie Mercury’s death: My personal review of Queen’s Biopic “Bohemian Rhapsody” (2018). I’ve never met someone who’s never heard of Queen; that is an actual fact. I mean, Egyptians never actually know the band’s name, but I reckon everyone knows at least these three songs: their 1977 anthem ‘We Will Rock You’, the sports stable “We Are the Champions” and the ever-iconic ‘Bohemian Rhapsody”. Actually, that’s how I got everyone from my friends and family to recognize the band when the film’s trailer was first released. Whenever I was asked about who they were, I automatically either stomped my feet and clapped while singing “WE WILL, WE WILL ROCK YOU!”, or I started my rather hideous rendition of Mercury’s “MAMMAAAA, I KILLED A MAN”. The day before that, I had prepared her and other “un-Queen-educated” friends a playlist with the most iconic, well-known Queen hits alongside a few of my lesser-known favorites. Yes, yes, I knew then that the timeline is only till the Live Aid performance in 1985, but the temptation to open my friends’ eyes to the beauty of Queen’s musical masterpieces was far too great for me not to. Rami Malek as Freddie Mercury in one of the early promotional photos for Bohemian Rhapsody, 2018. Should I have known that even if I had fun during the musical sequences of the movie that I’d still be disappointed with the actual plot/handling of Freddie life? Yes, but did I let that make me any less excited for the film? No, not really because perhaps I knew that an hour and half movie could never, not even in the slightest, cover even half of Freddie or who he was. When Freddie left us 27 years ago today, he didn’t just leave us his music as his legacy, he left us everything he was. “A lover of life and a singer of songs”, that was how I think Freddie would’ve liked to be remembered and, whenever he was stage, you could so easily see that in the way he basked in the sounds and praises of a roaring audience. Freddie Mercury in his iconic pose and yellow jacket, Wembley Stadium, London, July 11, 1986. However, I honestly don’t think anyone ever really knew what went through Freddie’s mind or why he ever did anything for that matter. I personally still think of Freddie as an enigma that perhaps isn’t as complicated as it looks, but rather it’s quite good at changing whenever you’re close enough to figuring it out. What we do know, though, is that Freddie Mercury always did what he loved, no matter what it was. And he always did so extravagantly and to the fullest because he was born to do so, to be almost theatrical was his second nature it seemed. Although those close to him often state he was almost shy and timid behind the scenes, he never faltered when facing anything because it was probably what he wanted to, what he loved. So if you asked me why Freddie means so darn much, I’d tell you because he teaches you what society never will; be yourself, be unapologetic about it and always do what you love. That doesn’t mean Freddie was an outright angel, because he wasn’t. He was the king of queens and kings are rarely without fault. 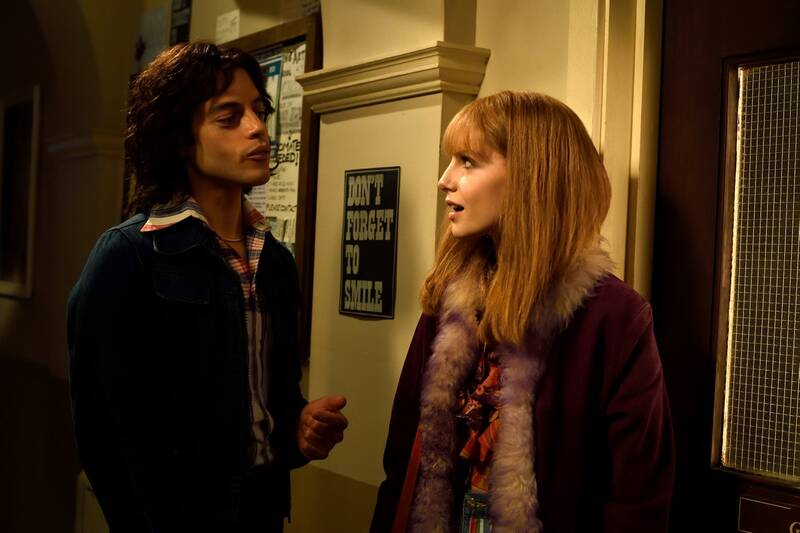 Rami Malek as Freddie Mercury with Lucy Boynton as Mary Austin, Freddie’s lifelong friend, Bohemian Rhapsody 2018. And that’s my problem with the film Bohemian Rhapsody (2018); it’s seems to turn everything about Freddie to either black or white. His music, friendship with the other Queen members and his love for his best-friend Mary Austin is always the white, while anything that isn’t them, or in other words, anything related to his sexuality is turned into black. And I believe if Freddie was anything, he was never ever black and white, not even grey, but something far more complex than solid colors. 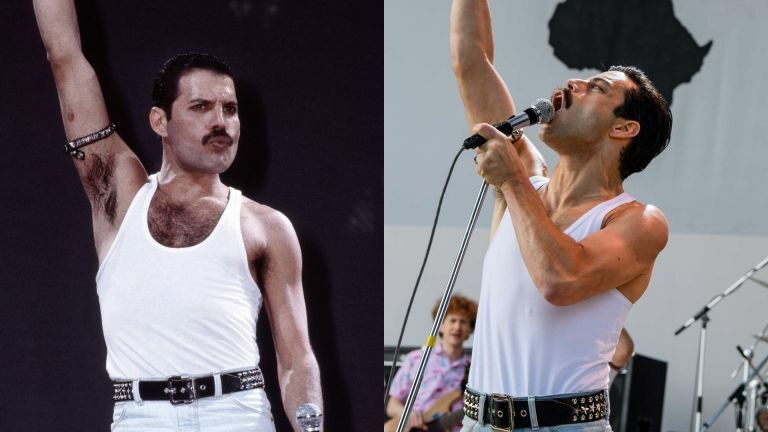 Freddie Mercury at Live Aid 1985 VS Rami Malek 2018. My favorite thing about this movie is that you genuinely believe that, when the actor perform, they are Queen, and not just make-believe actors. During the entirety of the Live-Aid resurrection, you feel as though you’re witnessing Freddie strutting down that stage, you feel the notes of Brian May’s guitar electrifying the crowd and YOU in return. I think Freddie vocalising his “Ay-Oh” and hearing the crowd’s reaction to it might just give you chills for days. Seeing it on a large cinema screen through Rami Malek, whom I believe succeeded in capturing a part, if small, of Freddie’s bravado on stage, made it quite emotional for me. That’s it though, Rami doesn’t give off a Freddie vibes when talking, perhaps that’s the scripts fault I’m not quite sure, it’s just Mercury always oozed this vibe in interviews that Malek couldn’t reach. As for the plot, I’m also not sure if I should blame the director(s), Bryan Singer who was fired two weeks before the end of production/Dexter Flecher who finished up filming and post-production, or the actual members of Queen: Brian May and Roger Taylor. These two legends were naturally heavily involved with the production as both producers and the subject of the film and their input is crystal clear. Rami Malek and Gwilym Lee as Freddie Mercury and Brian May respectively, Bohemian Rhapsody 2018. Other than a few minor and snide comments about their personal lives, we don’t ever see the them except in a positive light, a light that “guides” Freddie back home to his “family”. 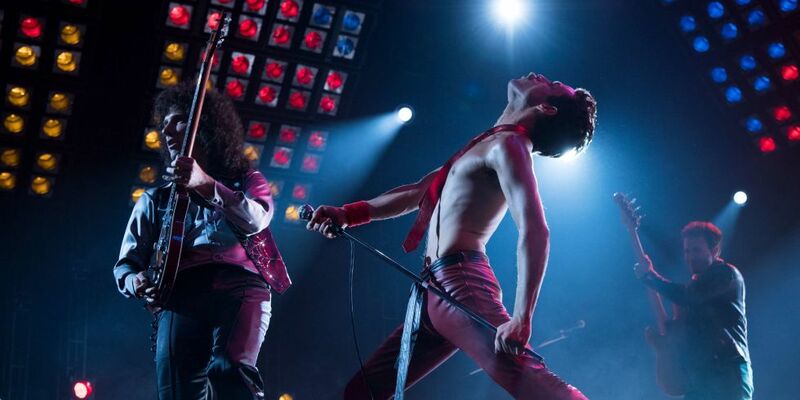 For a movie that tries so hard not to be a Freddie Mercury documentary, it sure does limit the roles of the other members of Queen, they’re reduced to secondary characters not equal to the their lead singer. Although, I have to owe it to Ben Hardy, Joseph Mazzello and Gwilym Lee, who played Roger Taylor, John Deacon and Brian May respectively, because they each felt true to their character and you truly felt the chemistry between them. Freddie Mercury of Queen, live in concert, 1982. I’m pretty sure the real Freddie might’ve said that, seeing as he only ever came out with his sexuality and being HIV positive one day before his death: 23rd of November 1991. The film does the exact opposite of what it clearly states was his wish. It turns Freddie’s sexuality and promiscuity into the true and only villain, into the thing that causes his demise. But it’s not. It’s the fault of the governments who continued to ignore AIDS and alienate those affected by it, despite the fact that it was proven to have nothing to do with who you love. 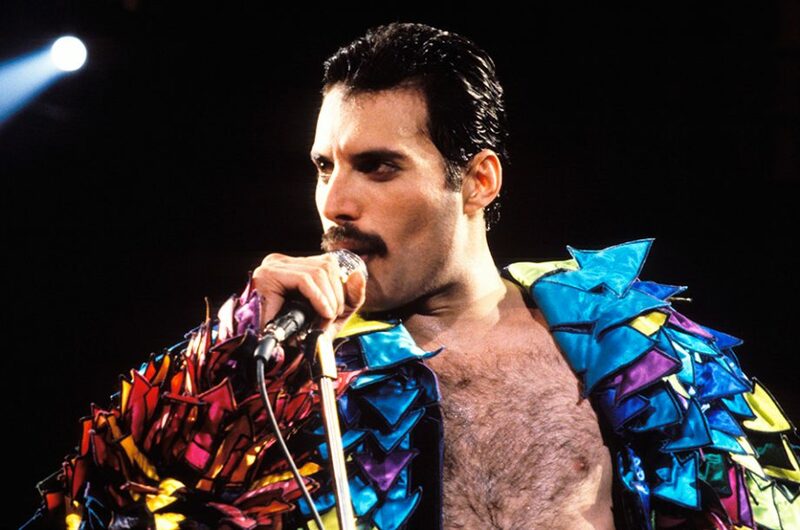 Men, women and children all contracted the then-deadly virus and still no one did nothing but blame people like Freddie who chose such lifestyle back then. Queen’s Freddie Mercury in 1982. Another thing that irked me was the historic inaccuracies that are just all over the place, and the fact that they tuned Jim Hutton into a footnote in Freddie’s life when he was obviously so much more was more than frustrating. Freddie Mercury, King Of Queens, Glasgow 1986. The thing is I still don’t hate this movie, in fact I might even love it. Not only because it gave me a chance to get into how their iconic songs were born, but also because I now get to share the love I always had for Queen with so many beautiful fans in a small screening hall. I truly believe Freddie would’ve loved us singing his songs and still, 27 years after he left us, appreciate all that he has given us through simply being himself.